Arianna is a maternal health consultant who works with women to create a smooth and personalized transition into motherhood. She is a maternal health researcher and social worker by training, with expertise in postpartum planning and social support during early motherhood. She is deeply committed to providing support for new mothers as they enter into the postpartum period and beyond. Women often focus so heavily on fertility and “getting pregnant” that many women don’t spend too much time considering what the postpartum period might be like once the baby arrives! 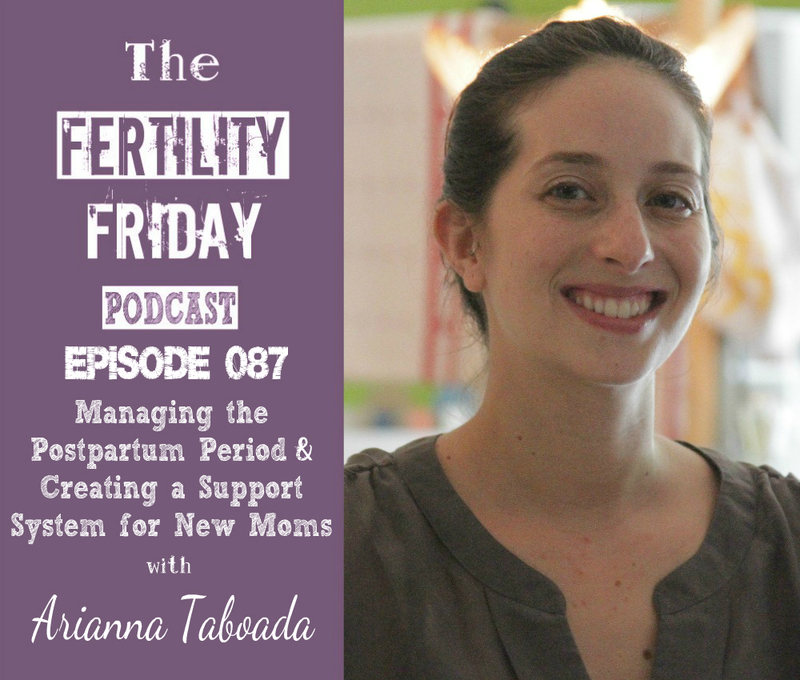 In today’s show, we talk about what happens after the baby arrives, why it’s important to build support networks, transitioning back to work postpartum, and much more. What exactly is a maternal health consultant? Why is it important for women to set up support networks for the postpartum period? Why are some women more prone to postpartum depression? Is a woman’s level of support connected to the likelihood of her suffering from postpartum depression?